Ireland has been ahead of many countries in a number of things. Its ancient legal system gave women rights they wouldn’t enjoy in most other places for centuries. They were also among the first to adopt surnames, which were in common use there well before William the Conqueror invaded England. Some surnames can be dated to the fourth century, although most of those are associated with places. Most Irish surnames began as a way of distinguishing different generations in the family. In other words, they performed much as same function as the patronyms found in Russia. The most common of these was Mac (also spelt Mc) which simply means “son of.” Similarly O stands for grandson of, and was a word by itself. It was only in later times that English clerks took it to mean “of,” which was never its intention. A name like O’Hanlon, for example, would really mean grandson of Hanlon, not just of Hanlon, as if Hanlon were a place. There’s a fairly small core of common surnames in Ireland, a total of 50 of them. A few are Anglo-Irish, dating from the times when the English aristocracy ruled there (a period which began in the 1100s), while others are far more associated with a place or a profession. Some, such as Burke, can be traced back a long way. 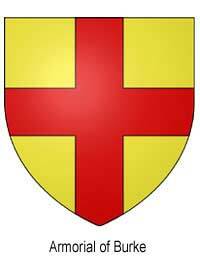 That particular name has its roots in Normandy, and is a derivation of De Burg. People with the name Burke have inhabited Ireland since the 1100s, notably in the area of Connacht, which they originally ruled in the name of the Crown. Although Fitzgerald is thought of as an Irish surname these days, it was also originally Norman. The Fitzgeralds were Norman nobility, and granted a huge amount of land that spanned counties Limerick, Clare, Kildare and Kerry. Inevitably, a Gaelic version of the name sprang up (Mac Gearailt), although it’s the name Fitzgerald itself that has remained in common use. Those named Clarke can lay claim to one of Ireland’s oldest surnames. However, that’s not the original version. That’s O Clery (as in “the grandson of Clery”), and even today, there are more Clarkes to be found in Cavan than elsewhere. In recent generations, these Irish surnames don’t necessarily tell genealogists a great deal, other than the families’ origins are in Ireland. How far back those Irish origins lie, though, is a different matter. But a name like O’Neill, for instance, will be an indicator of Irish royal blood if the family can be traced back far enough, since that’s the surname of one of the three Irish royal families of antiquity. That said, if a family is in Ireland and has the name Thompson, Thomson, or Walsh, you know that they originally came from elsewhere. Thompson is the most common English surname in Ireland (Thomson, without the “p,” is the Scots variant on it). Walsh derives from Welsh, and indicated the family started out in Wales. So, although the surnames will say little about much of the 20th century, if a genealogist can go back further, especially another couple of centuries, it can be possible to connect the name to a much longer family line, often including an area of origin. The problem is that all too often there were no written records, especially in rural areas. That means the surnames can offer broad clues to a family history, but real association can never be fully proven. It is not quite true to say that "O" means grandchild. It means "from" and was a designation used for any descendant - thus O Hanlon actually means descended from Hanlon. Also Walsh, Welsh, Wallace, Wallis do not necessarily mean Welsh. It was a name given to a speaker of Brythonic Celtic, and could originate anywhere in Britain where there were Germanic and Celtic speakers living in proximity. Thus William Wallace was completely Scotiish, and his ancestors were so named by the Angle conquerors of southern Scotland. However since Irish Gaels later conquered the same area he spoke Gaelic. He certainly had no connection with Wales.